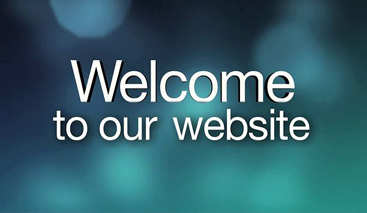 We want to welcome you to our new website. We are currently still under construction, but wanted to let you know that in the upcoming weeks, we will be adding more photos & information! I am overjoyed with your new website. I just turned it on to hear you singing “Riding on the right train.” A surprise blessing! Praise and glory to Jesus! Thank you and God’s blessings upon you! I sent copies of my book Revive Us Again to Dale, Lance, Doug, Al, Joe and Jack and the only response received was from Jack. I have been DVRing each TCT broadcast but I’m looking for DVD’s? To share with others outside my home especially at church. Wow! What a great new website you have!!!! I can’t wait to see more photos. The ones you have on the Home Page are super and I love the song playing!!!!! Good job! I love the program on TCT and tape it every week, reruns too. Wish I lived close to where you are performing in Michigan. Question. I heard a song that I loved one week. I thought it was “The Old Country Church”. Might it be “The Nountain Church” instead as I can’t seem to find the one I thought it was? Thanks for the great joy you bring to so many through your picking and singing. Thoroughly enjoyed your music and love for Jesus this morning! Thank you and Gods blessings to each of you. Thank you for your ministry. As an 86 year old retired Free Methodist Church pastor and Conference Superintendent for 60 years your music is such a great reminder of God’s Goodness and Love. Please keep up the good work you are doing. God bless you. From Mayfield, New York. We are house bound because my husband had a leg amputation in apr of this yr. And we enjoy u singing so much. I really love listening to your programs and your witness of the Love Christ has for us. is “Wonderful Words of Life” which I wish that you all would sing for us more often. All of you are use by The Lord as a special blessing to all of us when we hear your programs. Love your hat atop your guitar! We’ve missed you on Sunday evenings lately!!!!! You should NEVER be preempted by other programs!!!!! We always look forward to hearing your show and hoping that you will be heading east (towards NY and Ontario) for some live shows. Meanwhile we are enjoying all your TEN CDs and the lovely song book. God Bless all of you and may your music bring more and more people to Jesus Christ our Saviour……..
Lance, I am blessed by seeing you on TCT. Your Down Home Moment is truly a word from the Lord. Looking forward to another one. Thank you and Thank You, Jesus! Thank-you for the kind words. The NetWork is experimenting with this. If you care to see more of them, you might tell the network—again Thanks! Not only I love the show but also the wonderful message of peace and love delivered by our Lord Jesus Christ brought to us by the group and its music. Thank you! this is the first time I saw your show.I love bluegrass. gospel bluegrass is beautiful.I know your music is annointed because it touched my heart.I have heard many people sing gospel that are not annointed and you can sure tell the difference.I like the music very much and I was blessed by the testimonies you gave after every song.Praise God for your music. God bless you and the. others in your group. Hey guys, I just wanted to let you know that I love your music. I don’t have cable TV or sattlelite, just an antenna on my roof top. Through Gods air ways I get to watch you on TCT. Keep up the good fight, singing Praise’s to the Lord and spreading the Gospel through your music to a lost and dieing world in a suttle and down home way. I love your music and follow you closely! I moved to Wichita KS and found your ministry on TCT here,..But it is no longer on, or at least I can’t find it, Is there a reason..We missit!!!. hey guys, woke up early Sunday morning. just scanning thru the channels killing time b4 church when I found you. Love old hymms. love blue grass. love gospel. a new fan. I love your show every week, I play the harmonica and have for years,I like to play along, it would help me if you would let it be known what key you are playing in. We love your singing & music. Bluegrass gospel is our favorite music. Keep working for the Lord. You guys are great!! I love how you spread the gospel through your music, especially in prisons and jails!! GOD Bless you guys and your friends and Family!!! We love listing to your program. It is a blessing to us. Keep singing & playing music for the Lord. Bluegrass is our favorite music. Thank you for listening and for your message, we are glad you have been blessed. May you continue to be blessed watching and in your daily walk! I started watching your program on TCT recently and love it. I was saved in 1970 and country/bluegrass was very popular then, so listening, and singing along, takes me back to those good times. Is the posted concert schedule the current one for 2017? I’ll be to the one in Lake City on July 7 if it is. Thank you for watching and leaving a message. We have just posted the correct schedule for 2017 today! Thank you again and we look forward to seeing you! Hello! I am passing your information on to my older brother who is 76 and my sister 75, and I am 70. We love country gospel and especially blue grass style. My brother plays a little guitar and now and then we will have a little sing of Amazing Grace. There once was 11 of us children but we are down to 4 as the rest were taken by the Lord. Our Family Circle will be together again and I hope we will be there singing with you all when we all get there!!! I just saw you this morning for the first time. What a wonderful group and blessing you all are. We moved to GA. from MO. last yr. and I am having trouble finding the right church. Can hardly wait to see and hear you all sing again. Thank you Lord for this blessing. Do you sell cd’s of your music? if so, where can I get them? Thank you? Do you have available DVDs? If so how shall I obtain some? I would like to have your music played at my celebration of life. Jim and Mary from Sprague WA. near Spokane, WA We started watching the program on TCT in March 2017. We got the show on Tuesday also but now just on Monday. We were delighted to get music just before our Bible study. We look forward to the program every Monday. You will be hearing from us soon. Discovered your program one day a few months ago and have been super blessed by the music and comments. It is the old-fashioned sound I grew up with. God bless all of you richly and your ministry. I watch your program occasionally & enjoy the sound. My husband is the bluegrass lover. We live in Missouri, have 3 children, 12 grandchildren & 4 great grandsons. I listen to TCT, channel 10 out of Marion, Illinois. Keep up the good work! I am recovering from lung cancer, I am taking chemo at the present. I can’t wait until I have finished all of this. God has been so good to me and I know that I’m going to be alright. God has healed me three times before and I know He has something else for me. Everything is going to be alright. I LOVE God. He LOVES me too. Thank you for your leading in the sinners prayer after your song. I believe that was for me and many others. I really enjoy your music. I record every show . great Christian music. Love your program, I was raised on this music I live in Statesville, MC, watch every day on TCT. How many CD’s does the group have out, I would like to order one of each if you will send me ordering Info. I play guitar & Have since I was 14, all gospel tunes. God is so good!!!!!! Love your music and testimony. Yes He left His Home in glory, to die for me and you. I watch your program at the nursing home with my mom. She has dementia and other health issues. We enjoy it some much. My mom name is Joyce Anthony. The 5 of us kids just want what’s best for her. She is 85 and misses our dad so much. He passed away around 6 years ago. I thank God for your program of Gospel music and words of inspiration. Please keep on until He callus us home. I love your music. it help me to relaxes.But I can only hear it on Monday , Wednesday and Fridays. I hear it on monday, wednesday, and friday. Instead of having so many programs on that are also on other chanels and are often reruns, I don’t understand why they don’t have you on every day, at least once. It is almost impossible to tell others when to catch you program and I’d like to recommend it to them. Your show is unique and gospel filled. Plus, thank God you are none show-offs! I don’t know how to contact the programers. All comments on this site are months old. Do you still use it? God bless you all. ask when the Down Home program is aired in your area. Thank you for watching and for you kind words. Check out our upcoming concert schedule! For 20 plus years Down Home has been carrying the gospel message all over Michigan, as well as surrounding states. Ranging as far west as Iowa and east into New York, traveling from the Upper Peninsula of Michigan to Illinois, Indiana and Ohio. Churches, city parks, High School gyms, county fairs, music festivals, campgrounds, county jails and state prisons have been the setting for this group to sound forth their unique musical style. See you local TCT Television listings for DOWN HOME broadcasts schedule.